The experiment over 20 weekends at the Artizan Street Library will be discontinued after the extra hours failed to attract extra customers on the weekend. The experiment over 20 weekends at the Artizan Street Library will be discontinued after the extra hours failed to attract extra customers. A report said there were an average of nine adults and two children during the Saturday morning opening. 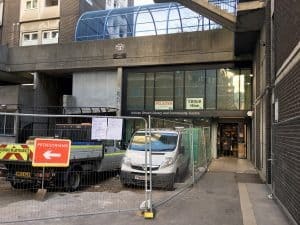 Some readers said they would go to the Barbican Library at the weekend instead. The move followed the three-yearly consultation on the library service. Residents also handed in a petition calling for longer opening hours. Unlike the Saturday opening, extended weekday hours have been successful, the culture, heritage and libraries committee heard. They attracted 1,337 people, or 5% more visitors in the first four months of the pilot. The extra hours saw the library open from 8am to 5.30pm on four days, with one late night until 7pm.